The Wallbox Plus is a semi-fast charging point for electric vehicles with mode 3 charging up to 22kW. Wallbox plus, is an electric vehicle charger, versatile that can adapt to all our needs. 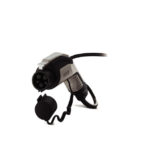 An ideal solution to charge two vehicles at the same time, or to have a hose and a connector for simultaneous use. A simple solution for companies, private or community garages. It allows both single-phase and three-phase loading. 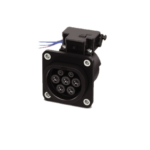 The outputs can be selected by the customer between hoses Type 1 (SAE J1772) and Type 2 (IEC 62196) or socket Type 2. Made of ABS, acrylonitrile butadiene styrene, material of high strength and rigidity, ideal for housing the power electronics of the recharging point due to its high resistance to abrasion. 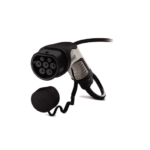 It allows the recharge speed to be controlled at all times by means of a front selection display that allows the intensity to be modified (from 6 amperes to 20/32A depending on the model) and each socket separately.